Run through vineyards and across natural rivers and dams in South Africa! The Fisherman’s Friend StrongmanRun Series 2018 is about to finish! For this year’s last run, we have something very special to present: South Africa! On October 13th you have the chance to experience the toughest 21km race and the most fun 8km or 15km in Paarl. The track winds its way through beautiful vineyards and across natural rivers and dams. It is a stunning and yet challenging surrounding you shouldn’t miss! And what you shouldn’t miss as well is the longest mud slide of all our runs – enjoyment at its best! Besides the actual run there will be a huge side program for old and young. So even if you are just a spectator you will have a lovely day. Once the run is over, take some time to make the most of your trip. South Africa has everything your heart desires! Great food, lovely wine, stunning nature and friendly people. You can do shark diving, paragliding, skydiving, go on a safari, have a wine tour, climb up the second biggest solit granit rock in the world or just let you soul dangle at the beach. What ever you desire to do: name it and South Africa has it! It is the world in one small country and absolutely worth a stay. 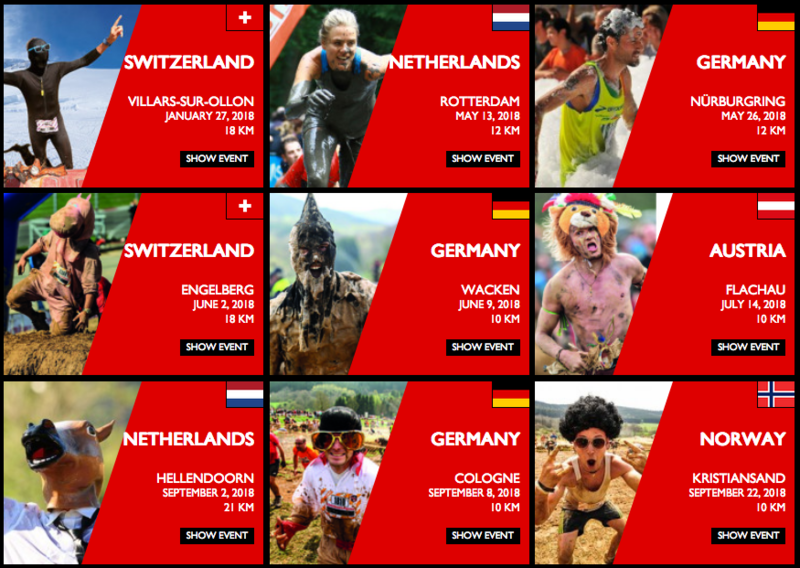 After a freezy start with our Winter Edition in Switzerland you can heat up your frostbites at the Fisherman’s Friend StrongmanRun in Rotterdam – Winter is finally over! On May, 12th and 13th you can run the main event with STRONG-12 and THE ORIGINAL and participate in the FFSMR Series.